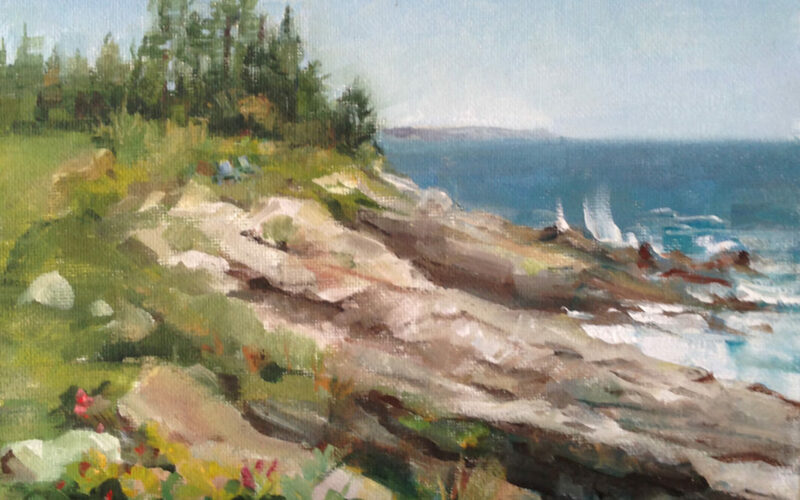 Recently fit in a week of plein air painting, between medical illustration deadlines. The wonderful state of Maine, and especially our New Harbor base, provided beautiful vistas and great food. Painting on-the-spot and outdoors was invigorating, both physically and creatively. Came back full of fresh air and with lots of new imagery to paint. Now, I’m back at the monitor concentrating on medical content, designing and illustrating some interesting new projects. A brief nature respite with friends does wonders for the mental health of lone, desk-bound freelancers! This is especially true when one is transported away from humidity, television and the internet.